سواءً كنت مسافراً بغرض السياحة أو العمل, نزل تاهيتي ايربورت هو خيار عظيم للإقامة خلال زيارتك تاهيتي. يمكن من هنا للضيوف الاستمتاع بسهولة الوصول إلى كل ما تقدمه هذه المدينة النابضة بالحياة. إن سهولة الوصول من الفندق إلى المعالم السياحية الشهيرة الكثيرة في المدينة كمثل Faa'a International Airport, Tahiti Pearl Market, Pape'ete Ferry Terminal هو استثنائي بحد ذاته. إن الخدمات التي يقدمها نزل تاهيتي ايربورت تضمن للنزلاء إقامة مريحة. يقدم هذا الفندق العديد من الخدمات الكفيلة بإرضاء أكثر الضيوف تطلباً. لقد جهزت هذه الإقامة الفندقية بعناية فائقة لتوفر مستوى عالي من الراحة. في بعض الغرف يجد النزيل تلفزيون بشاشة مسطحة, اتصال لاسلكي بالإنترنت, غرف لغير المدخنين, مكيف هواء, خدمة الإيقاظ. كما أن مجموعة الخدمات الواسعة الموجودة في الفندق لضمان راحتك تترك لك الكثير من الخيارات لقضاء وقتك أثناء فترة إقامتك. إن نزل تاهيتي ايربورت هو خيار ذكي بالنسبة للمسافرين إلى تاهيتي، بما يوفره من إقامة هادئة ومرحة. A pedestrian crossing across the road from airport. About a 10minute casual walk up a short hill. Rooms sparcely appointed & my husband had a shower that had very low pressure & unsatisfying; I chose not to have one. There is an elevator after a half dozen or so steps up from reception. Morning breakfast tray collected at reception with a croissant, then cereal & coffee in the breakfast room. Would not recommend for more than one night. There is a nearby super market, Asian restaurant, other restaurants one would need taxi ride. We decided on eating at the airports small restaurant which served pizza & ice cream & there is a McDonalds. 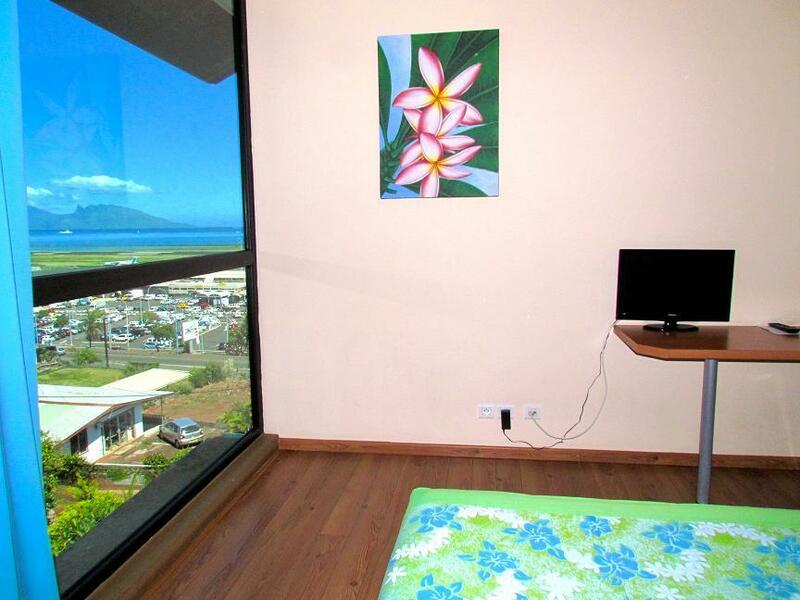 This hotel is right across the parking lot from the airport taking all the stress and worry out of catching a taxi the next morning to get to the airport in time for interisland flights. We always walk and hand carry our luggage. The only downfall is that there are many stairs and a rugged small road to get high up to the hotel.the low price makes it worth it for us. We would not want to stay anywhere else. We stayed hear overnight, between flights. Tahiti Airport Motel was clean, very convenient and we had lots of space. It was super easy to get to and from the airport. We had two King sized beds in our room, two toilets, two showers and two sinks. Nice, clean hotel in walking distance to the Airport. We chose this hotel because our flight was arriving too late to catch the ferry to Moorea. It's literally in walking distance to the Airport which was very convenient. Hotel is clean and rooms are modern. Stayed overnight for early morning flight. With pull luggage, our family of four managed the stairs and bumpy uphill road to the hotel without difficulty. Next morning, we walked across the street to catch our flight. Place isn't much to look at but great location next to the airport for travelers needing a place to stay for long layovers. Only downside is it looks close and is within walking distance of the airport but is situated in a way which makes in nearly inaccessible by foot and therefore a taxi is necessary for literally a 1-2 min car ride. We have stayed here 2x. Once 4 years ago and just last week. It had not changed-very clean and conveniently located across the street from the Airport. The only drawback is it’s quite a hill to climb pulling your luggage and about $16.00 if you can find a taxi (Le Truck) late at night. We walked both times and saved the money. The rooms are reasonably priced as well. Walk from the airport to the hotel. Nice room. Staff could have been a little friendlier, though. I stayed here 3 times for 1 night each, always arriving at the airport late and leaving early the other day. 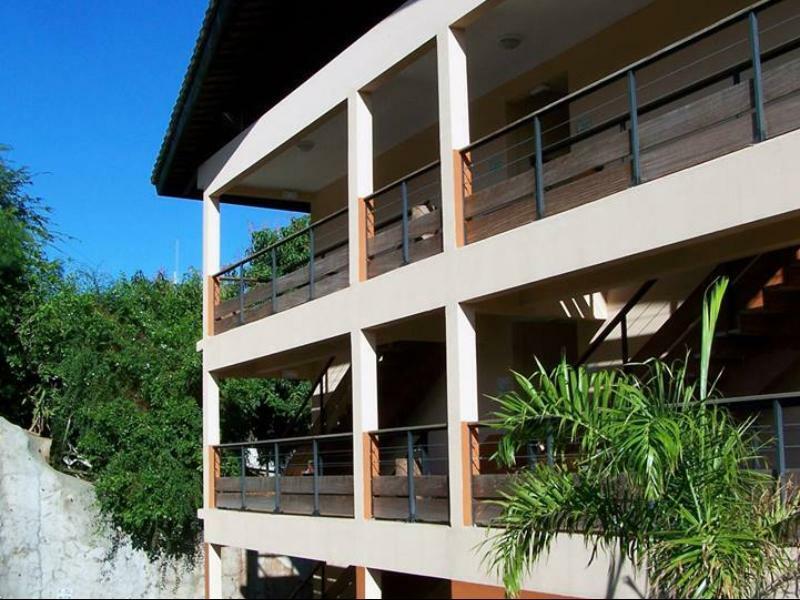 The place is in walking distance to the airport and therefore perfect. 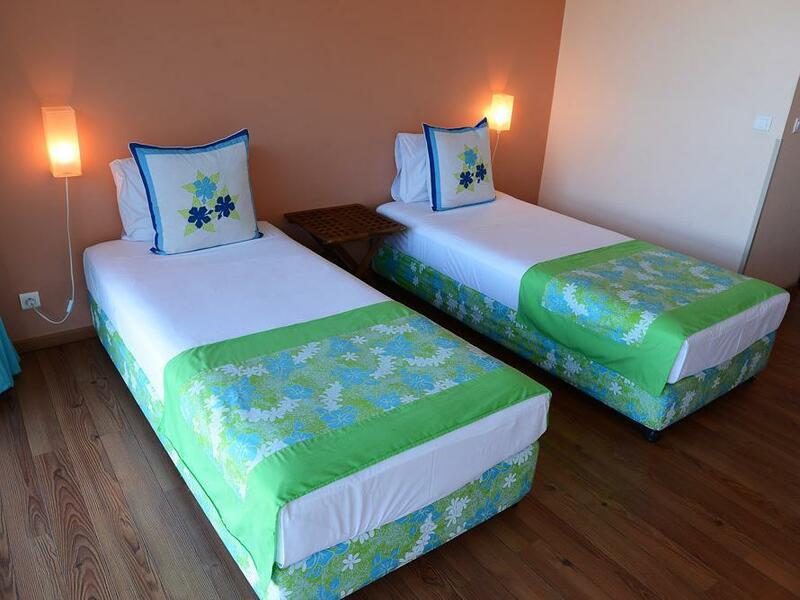 The rooms are large, clean and well equipped. The WiFi is super fast and stable compared to what you get on smaller islands such as Rangiroa or Fakarava. Only a few steps and stairs away from the airport and therefore the perfect choice if your connecting flight only leaves the other morning. Rooms are big, clean and have a/c. The breakfast is simple but good. This hotel is very convenient for travelers who fly (e.g., from the USA) to PPT, arriving late in the evening, then flying to another island the next day. It is literally located about 150 meters from the arrivals section of PPT. One word of caution for travelers with heavy and/or bulky luggage -- the hotel is also about 20 meters up a fairly steep hill, so moving that luggage can be challenging. I would not recommend to stay in this hotel if not only for the reason of the location, which is really close to the Tahiti airport. Nice thing is that you can check in your luggage (the airport has 3h policy before the flight) and come back for a breakfast to the hotel. A little expensive for what it is though. I wasn't sure what to expect after reading mixed reviews. The hotel was clean, staff friendly and basic breakfast gets you going for the day. You definitely do not need a taxi to get here. The walk through the airport car park and up a couple of sets of stairs then up the driveway (a little steep towing a suitcase) is straight forward. Great view back over to Moorea. The room is clean, though basic, and the shower has the temperature set and has very poor pressure. Only body wash in a container is provided, Walking to and from the airport with suitcases at night is not safe nor easy. So factor in a taxi fare of around 20.00 USA or 2000.00 francs. You must vacate the room at 11.00 or else pay extra to hold it for longer. You are not permitted to stay in the seating area by reception with your suitcases. Breakfast is very basic and you collect your rations from reception The taxi to town is 2000.00 francs of $20.00 US. each way. Just the quiet rest we needed early a.m. pre-flight.! GREAT wifi, clean room every stay, sweet staff and wonderful views. Breakfast included---what more could you want for your pre-(or post) flight rest!!! The Motel was only about a mile and half from the airport. Just a quick taxi ride. Nice clean rooms. Breakfast was included in our stay and they hand you a plate with a lot of fresh French bread that was so good. Would stay here again.